The year-long tussle over whether Chinese solar manufacturers have undercut their competitors unfairly, and significantly hurt their American rivals, is close to the end. And so far, neither side’s dire predictions have come true. The year-long trade case has divided U.S. solar companies — from manufactures to installers and project developers — over whether imposing tariffs on Chinese manufacturers will reverse a sorry streak of factory closures and bankruptcies. The case is now before the U.S. International Trade Commission, which held a final hearing on the case yesterday and plans to issue a decision by Nov. 7. The U.S. Department of Commerce is due to issue its final decision next Wednesday. Both the commission and the commerce department have issued preliminary rulings that found fault with Chinese companies. The commerce department imposed preliminary tariffs of less than 5 percent for the subsidy claim and roughly 31 percent for major Chinese players and nearly 250 percent for the rest for the anti-dumping claim. The commission’s job is to determine whether Chinese manufacturers’ actions have hurt American manufacturers. The final decision on the tariffs by the commerce department will be in effect only if the trade commission finds that American manufacturers have suffered harm. The trade complaint alleges that the Chinese companies, which have risen to dominate the global solar manufacturing market over the past five years or so, have received unfair subsidies from the Chinese government and that has enabled them to sell their products at below fair market values. When a group of manufactures, led by SolarWorld, filed the complaint against Chinese silicon solar cell makers last October, predictions about the positive or dire impact of the case began to fly. SolarWorld, which is based in Germany and runs a factory in Oregon, said tariffs are necessary to help American manufactures stay competitive and in business. The other side, which includes not only Chinese manufacturers but also project developers and equipment retailers that have benefited from cheaper solar panels, warned of rising installation costs and severe job losses. So far, the gloomy picture of rising solar panel prices and project costs hasn’t materialized. As we pointed out back in May, when the commerce department issued the tariffs for the anti-dumping claim, other market forces and clever strategies to side-step the tariffs (or the willingness by manufactures to absorb tariffs without raising prices) meant consumers weren’t likely going to feel the pinch. The U.S. market for solar panel installations is forecast to grow 71 percent in 2012 from the previous year. Leases have become a popular way for homeowners to go solar. Solar panel prices have continued to fall since those preliminary tariffs went into effect. Meanwhile, the preliminary tariffs haven’t provided much breathing room, if at all, for many American solar manufacturers. Many venture-backed startups have gone bankrupt or they are getting snapped up on the cheap. MiaSole, which makes ultra-thin solar panels using copper, indium, gallium, and selenium, is being sold to China-based Hanergy for $30 million (a fraction of the amount of venture capital it raised). First Solar (s FSLR) and SunPower (s SPWR) are still struggling and working on strategies that will make them less susceptible to the price swings in the wholesale market for solar panels. GE put on hold its dream of becoming a major solar panel maker by not completing a factory in Colorado. So what’s going on here? Essentially supply and demand remains out of whack for the global solar market. The glut began to show its impact and push down solar panel prices in early 2011, and its presence still lingers. Chinese manufacturers have continued to suffer big financial losses, along with their rivals in Europe, Japan and the U.S. Of course, the Chinese companies may experience a tougher time in the U.S. market if the commerce department ends up levying much heavier tariffs. Despite the bumper crop, producers of silicon, which is used for making most of the solar panels on the market today, plan to bring more factories online, according to NPD Solarbuzz. The global production silicon production capacity will likely grow 22 percent in 2012 and another 18 percent in 2013. 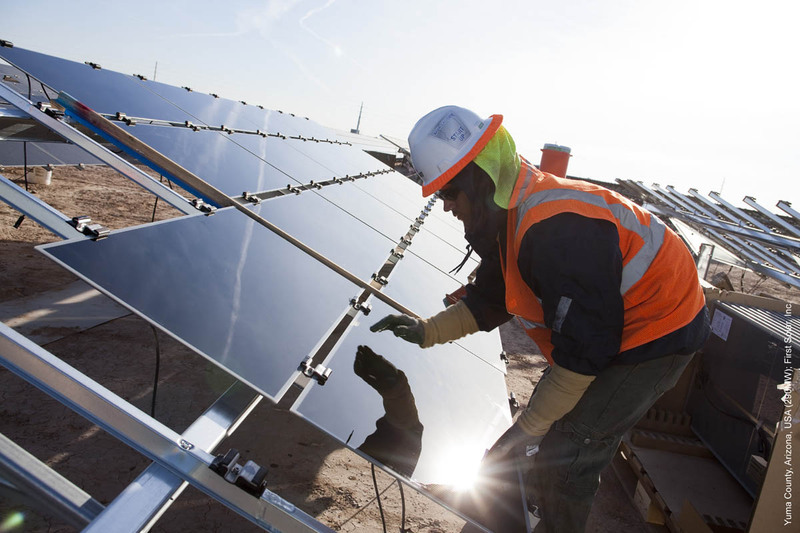 Prices for silicon could drop by 52 percent this year, Solarbuzz said. While the U.S. is wrapping up the case against Chinese companies, solar trade disputes have cropped up elsewhere. Trade complaints against China have now been filed by SolarWorld against Chinese manufacturers in Europe. The Chinese government, which is reportedly working on rescuing some of the biggest solar manufacturers, is looking at imposing tariffs on silicon from the U.S. The article fails to mention retaliatory trade actions. There is now more than one trade gun drawn and the risks ratcheted up, way up, not down. The story is not meant to be a complete accounting of all trade actions between China and the rest of the world. But as an example I did point to the one Chinese is poised to make against U.S. silicon producers.